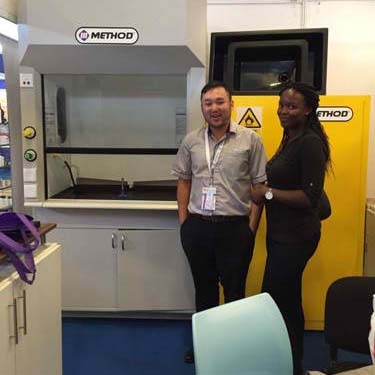 Almost everything of the fume hood was non standard, from the size, material to the duct system. Fume hood was equipped with apparatus holding grid, automatic sash closer, central scrubber and fan. Happy to see customer is satisfied with the overall performance. Thank you Kenya! It was a pleasure to meet all our friends and clients who came by to visit us at the Kenya Laborum 2016 at Oshwal Centre in Nairobi. See you all again soon.